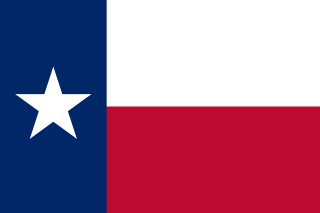 The Montrose District was a management district located in Houston, Texas, United States. The land was governed by the Montrose Management District. The approximate boundaries of the district were Dallas Street (north), U.S. Route 59 (Southwest Freeway) (South), Montrose Boulevard (west), and Burlington and Taft Streets (East). U.S. Route 59 is a north–south United States highway. A latecomer to the U.S. numbered route system, US 59 is now a border-to-border route, part of NAFTA Corridor Highway System. It parallels U.S. Route 75 for nearly its entire route, never much more than 100 miles (160 km) away, until it veers southwest in Houston, Texas. Its number is out of place since US 59 is either concurrent with or entirely west of U.S. Route 71. Montrose is one of the older neighborhoods of Houston. The district is within the Houston Independent School District. 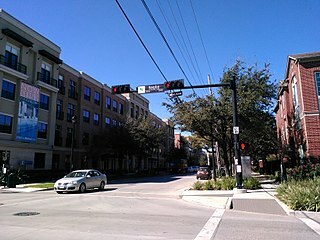 Neartown is an area located in west-central Houston, Texas, United States and is one of the city's major cultural areas. Neartown is a 7.5 square miles (19 km2) area roughly bounded by Interstate 69/U.S. Highway 59 to the south, Allen Parkway to the north, Shepherd Drive to the west, and Taft to Fairview to Bagby to Highway 59 to Main to the east. Neartown neighborhoods include Cherryhurst, Courtlandt Place, Hyde Park, Montrose, Vermont Commons, East Montrose, Mandell Place and Winlow Place. These neighborhoods are collectively referred to locally as the better known Montrose. Bob Lanier Middle School, formerly Sidney Lanier Junior High School/Middle School, is a middle school in Houston, Texas, United States, with a ZIP code of 77098. Lanier, a school of the Houston Independent School District (HISD), handles grades 6 through 8. Named after former Mayor of Houston Bob Lanier, the school is located in Neartown and near Montrose and has both neighborhood non-magnet and Vanguard/IBMYP gifted/talented programs. Lanier's neighborhood program serves Montrose, Afton Oaks, Boulevard Oaks, River Oaks, Southampton, and other communities. Midtown is a central neighborhood of Houston, located west-southwest of Downtown. Separated from Downtown by an elevated section of Interstate 45, Midtown is characterized by a continuation of Downtown's square grid street plan, anchored by Main Street and the METRORail Red Line. Midtown is bordered by Neartown (Montrose) to the west, the Museum District to the south, and Interstate 69 to the east. Midtown's 325 blocks cover 1.24 square miles (3.2 km2) and contained an estimated population of nearly 8,600 in 2015. Edgar Allan Poe Elementary School is a primary school located at 5100 Hazard Street in Houston, Texas, United States. A part of the Houston Independent School District (HISD), the school, which was built during the 1920s, is located in the Chevy Chase subdivision of the Boulevard Oaks neighborhood west of Rice University. The school was named after Edgar Allan Poe. Edgar Gregory-Abraham Lincoln Education Center (GLEC) is a K-8 school located at 1101 Taft in the Fourth Ward area of Houston, Texas, United States. Gregory-Lincoln is a part of the Houston Independent School District (HISD) and has a fine arts magnet program that takes students in both the elementary and middle school levels. Originally built in 1966, the school later moved into a new building that opened in 2008; the rebuilding was delayed due to concerns that U.S. Civil War-era graveyards would be disturbed by the rebuilding process. James D. Ryan Middle School was a secondary school located in Houston, Texas, United States. The Baylor College of Medicine Academy at Ryan, a magnet middle school, now occupies the campus. Riverside Terrace is a neighborhood in Houston, Texas, United States. 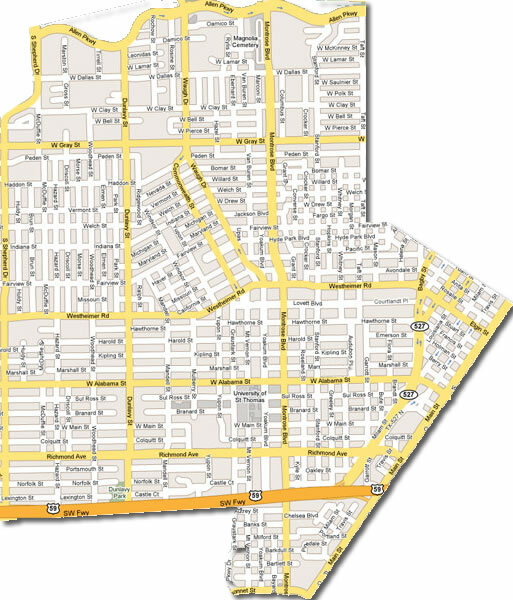 The neighborhood is bounded by Almeda, North MacGregor, Scott, and Wheeler. The community, formerly an affluent Jewish neighborhood, is now a predominantly African American neighborhood with different income levels. It has been undergoing a gradual change in demographics and aesthetics due to gentrification and revitalization efforts since the early 2000s. 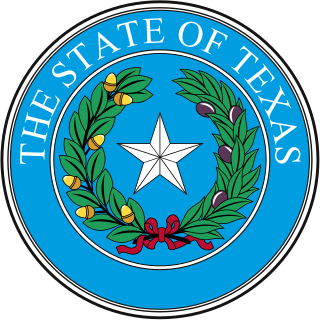 Southeast Houston is a district in Houston, Texas, United States. The Greater Southeast Management District (GSMD) manages the area. Communities within the district include the Third Ward, Texas Medical Center, Riverside Terrace, University Oaks, and Washington Terrace. 2727 Kirby is a 30-story, 96 unit, condominium high rise, designed by Ziegler Cooper and located in Upper Kirby just south of Westheimer in Houston, Texas. The Westmoreland Historic District is a neighborhood in Neartown Houston, Texas. It is west of Spur 527, between Westheimer Road and West Alabama Street. William H. Wharton K-8 Dual Language Academy, formerly William Wharton Elementary School, is a public school in the Neartown area of Houston, Texas and part of the Houston Independent School District. Also known as the Wharton Dual Language Academy, the school serves gifted and talented students in the Language Magnet program from Pre-K through 8th grade. Hyde Park is a historic community located in the Montrose neighborhood of Houston, Texas. Its southeast boundary is the intersection Montrose Boulevard and Westheimer. The neighborhood was established in the late 1800s on the summer farm of the second President of the Republic of Texas, Mirabeau Lamar. In the 1970s, Hyde Park became a central part of the Gay Rights Movement in Houston. Like much of Montrose, the neighborhood is now experiencing significant gentrification, and is home to an abundance of restaurants, including Mexican, Italian, Greek, American, Lebanese, coffee houses, and numerous bars. Lower Westheimer is an area in Houston, Texas, United States. It is centered on Westheimer Road, and is considered to be East of Shepherd, and West of Midtown. Several historic neighborhoods are partially or completely located within the area including Montrose and Hyde Park. Lower Wertheimer is known for its hipster culture, nightlife, arts, and food scene. Woodrow Wilson Montessori School, formerly Woodrow Wilson Elementary School, is a public K-8 Montessori school in the Cherryhurst Addition subdivision in the Neartown area of Houston, Texas. A part of the Houston Independent School District (HISD), Wilson serves as the neighborhood elementary school for a section of Neartown, including a portion of Montrose. It also serves as a magnet school for all of HISD's territory. As of 2014 it is one of three public Montessori programs in Houston. It was the first HISD school to use the Montessori style for all students, as well as housing HISD's first Montessori middle school program. It is named after President of the United States Woodrow Wilson. Houston Housing Authority (HHA), formerly Housing Authority of the City of Houston (HACH), is the public housing authority in Houston, Texas. ↑ "Montrose Boundary Map - Montrose Development Survey." (PDF version). Montrose District. Retrieved on April 29, 2011. Foster, Robin. "Montrose district under fire over taxes." Houston Chronicle . Friday October 14, 2011. Retrieved on October 18, 2011. ↑ Sarnoff, Nancy (2018-03-22). "Montrose Management District votes to dissolve". Houston Chronicle . Retrieved 2019-04-07. ↑ "Lanier Middle School Attendance Zone." Houston Independent School District. Retrieved on December 13, 2016. ↑ "Gregory-Lincoln Middle School Attendance Zone." Houston Independent School District. Retrieved on December 13, 2016. ↑ "Cullen Middle School Attendance Zone." Houston Independent School District. Retrieved on December 13, 2016. ↑ "Ryan Middle Attendance Zone Archived 2007-06-30 at the Wayback Machine ." Houston Independent School District. Retrieved on October 20, 2011. ↑ "Lamar High School Attendance Zone." Houston Independent School District. Retrieved on December 13, 2016.